Will work with 30-50 series instruments. 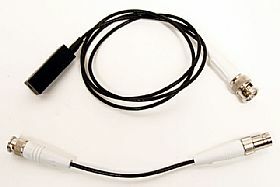 Sensor lead is 36" long. Use this with multiple Beacon Transmitters to time you lap speed.